Movies. Comics. Weights. Happy Hour. Repeat. Just a quick update for your Friday. Hopefully it's beautiful and sunny where you are as it's frigging blazing and 80 something out here in Los Angeles. 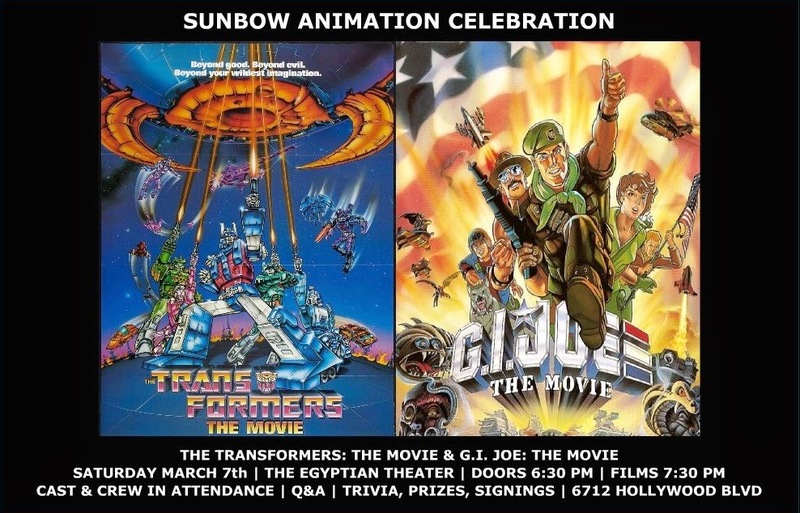 The positive fallout from the Sunbow Celebration double feature of The Transformers & G.I. Joe: The Movies keeps on coming as video from the evening has surfaced. To get you primed for Sunbow, first watch this awesome video of the opening credits from both films. Turn it up loud! Many thanks to all who attended, our guests and YouTuber RealistikkVideos for posting. #HicksLives! aka Michael Biehn and Alien 5?